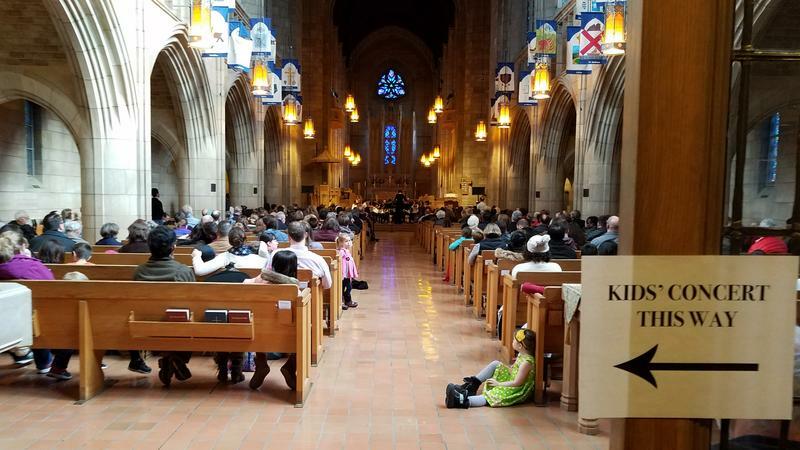 The first KPBX Kids' Concert of 2018 featured the Spokane Youth Symphony doing songs for kids, performed by kids. 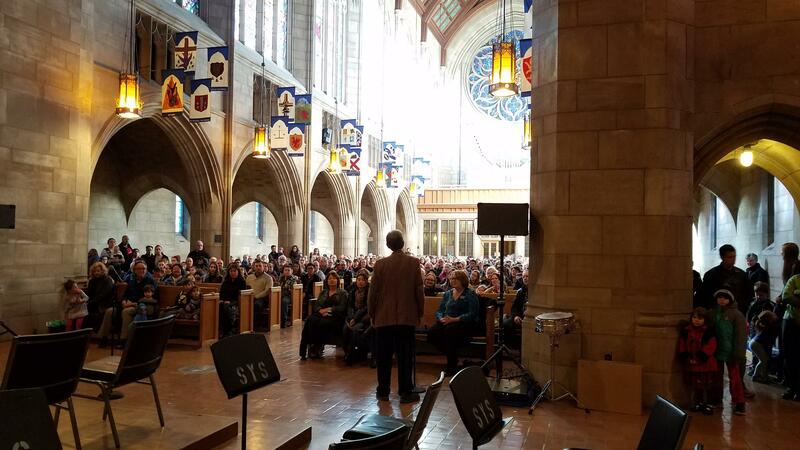 The free concert took place at St. John's Cathedral in Spokane at 1pm. 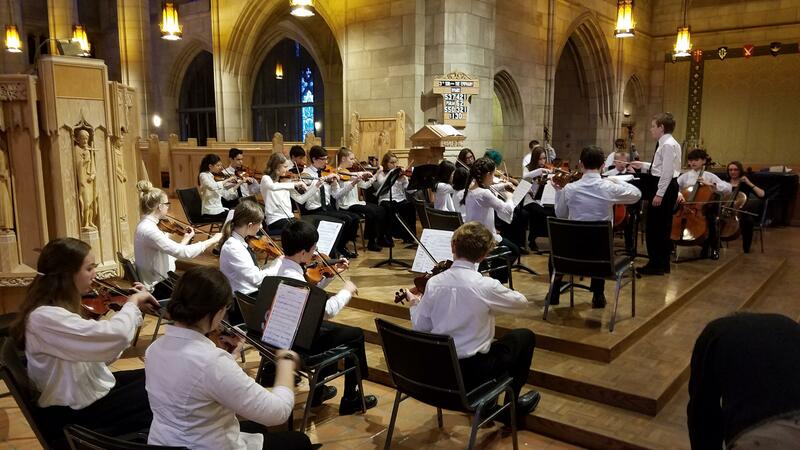 The Spokane Youth Strings and Spokane Youth Sinfonietta performed highlights from their current season and featured chamber groups from the Spokane Youth Symphony. 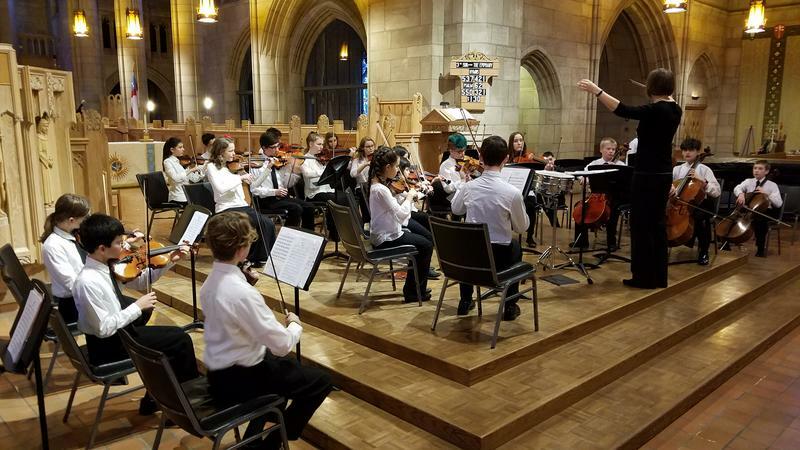 The Spokane Youth Strings is an intermediate level orchestra where students really begin to get comfortable with the different rhythm and volume dynamics in classical music as well as sight reading. 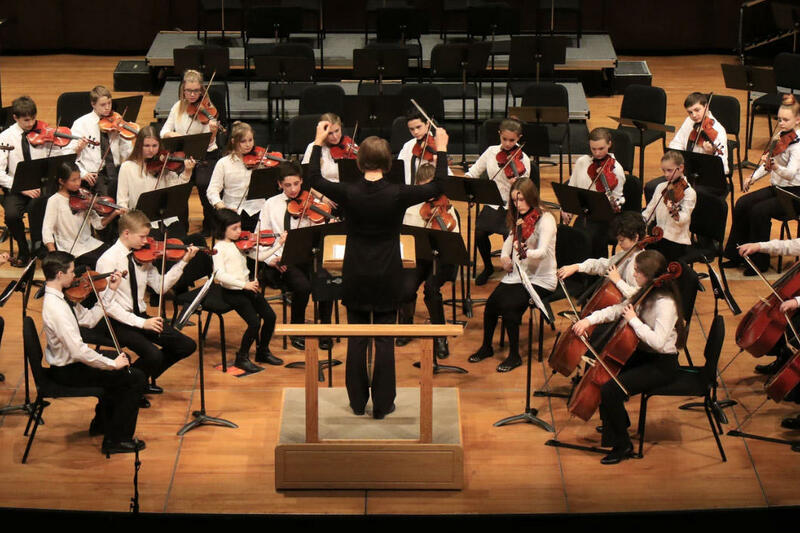 The Spokane Youth Sinfonietta is really begins to stretch students' musical skills with more challenging orchestral experiences. 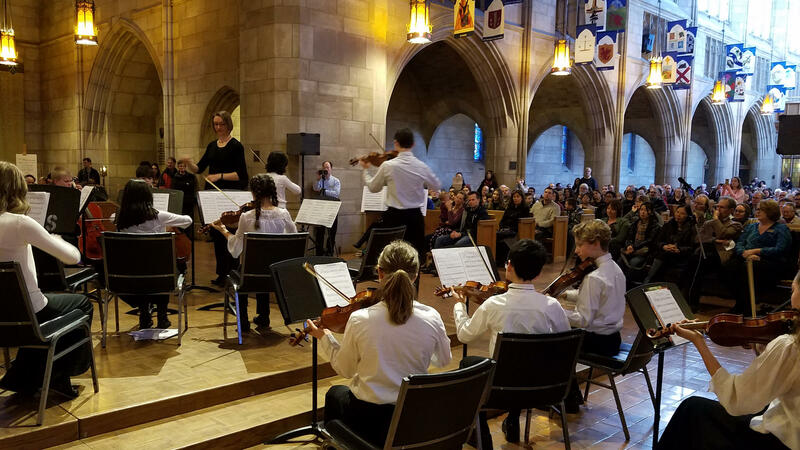 In this orchestra they dive into the historical significance of the composer and the music as well as learning the larger structure of orchestral pieces. 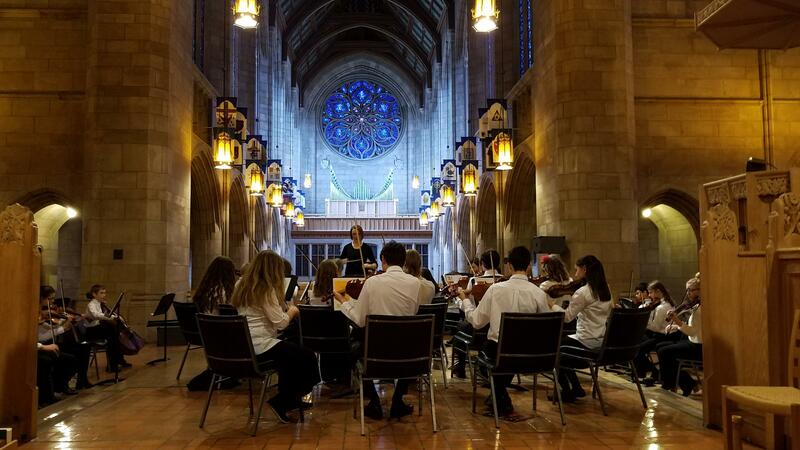 Both orchestras are directed by Heather Montgomery. 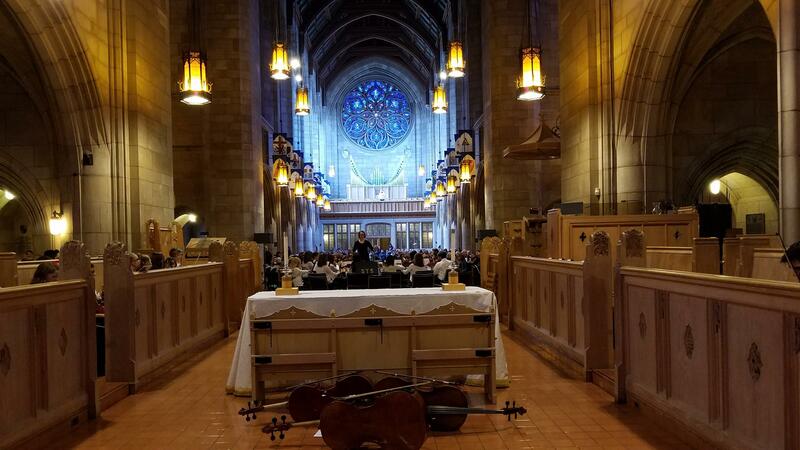 The architecture of St. John's Cathedral borrows from the medieval Gothic style, and details are much like those found in France. Like those buildings from the 14th and 15th centuries, the Cathedral is solely built from rock and glass, no steel used to reinforce the buildings. It's like being in a centuries-old castle! 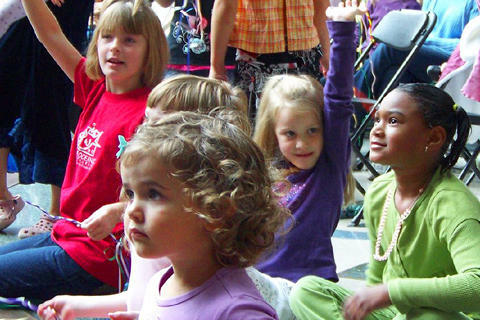 KPBX Kids' Concerts are free thanks in part to event donors Harvard Park Children's Learning Center North, Numerica Credit Union, and Rocket Bakeries. 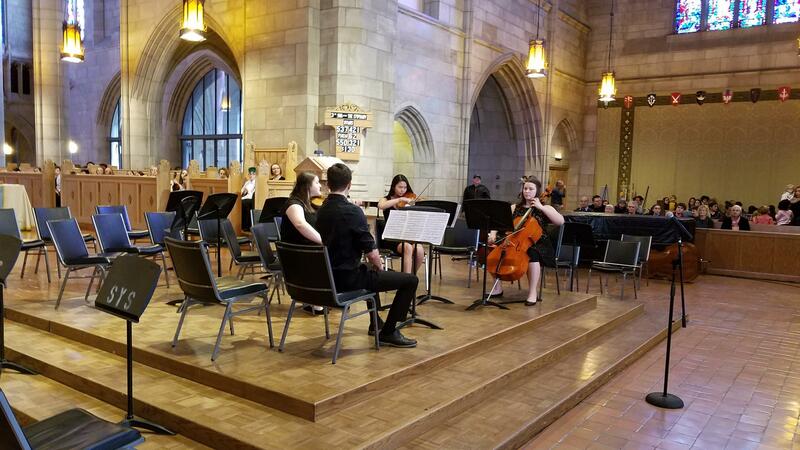 Thanks also to Hearn Brothers Printing, the performers of Spokane Youth Symphony, St. John's Cathedral and its staff, and the members and volunteers of SPR.